Day after day, you pump carbon dioxide into the atmosphere, whether you’re driving or turning on lights or eating meat. You can’t help it, because really, no human can. But I bet you haven’t stopped to think about how the simple act of pooping is also part of the problem: Worldwide, wastewater treatment facilities account for 3 percent of electricity consumption and contribute 1.6 percent of emissions. On its own, a person’s poop is carbon neutral (save for emissions from growing and transporting food): Plants capture carbon from the air by way of photosynthesis, you eat the plants, you produce the carbon as waste. When those microbes eat that waste and release the CO2 back to the atmosphere, it ends up right where it started. In this setup, you’d pump CO2 from, say, a fossil fuel power plant into enclosed tanks full of wastewater. These plants are often located near wastewater facilities anyway; instead of their emitted CO2 going to the atmosphere, it would get funneled to the tanks for microbes to munch on. The wastewater facility would pay the power plants for their CO2 emissions, and would then use the microbes to produce valuable chemicals (like ethanol) to sell off. Everyone wins, in theory: Fossil fuel power plants can say they’re cutting emissions, and wastewater plants get an extra revenue stream. This focus on a new marketable product is intentional, to circumvent the biggest hurdle to carbon capture in all its forms: it’s just not profitable. A corporation has no incentive to, say, plant forests or install a carbon-sucking device on its premises if doing so only hurts its finances. To make carbon capture technologies take off will either require legislation to mandate them, a new business opportunity, or both. To be clear, modifying wastewater treatment isn’t going to come close to saving us from climate change on its own—for that, we need to cut missions dramatically and immediately. But hungry microbes could play a part. Compared to some of the other schemes for carbon capture, the lift wouldn’t be all that heavy once the tech is in place. 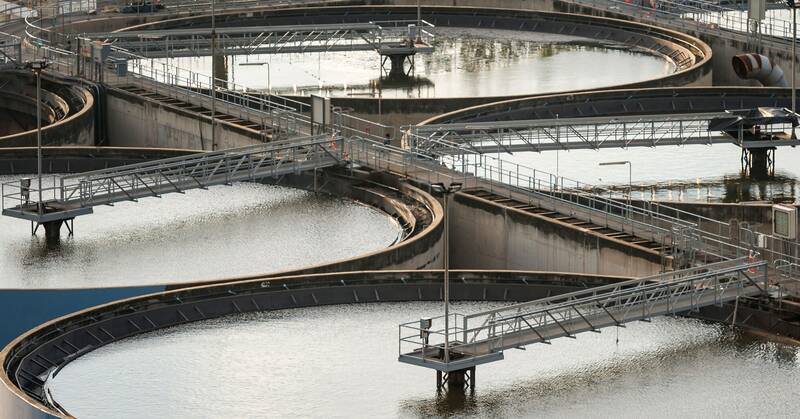 Plus, there’s plenty of wastewater to work with—New York City alone produces 1.3 billion gallons of the stuff a day. By law, municipalities in the US have to treat all that muck before pumping it out to sea, which means the raw material is there, and will always be there. CO2-eating microbes might not be the only way to exploit all that muck. Another idea would be to use wastewater byproducts, aka “sludge,” to produce biochar, a kind of carbon-rich charcoal. When added to soil, biochar can improve crop yields, and as a nice bonus, it boosts how much CO2 the soil absorbs. Or we might turn artificial wetlands into their own facilities of sorts: Pump the wastewater into one of these engineered wetlands, and plants would convert it into biomass, thus reconstituting CO2 as vegetation. For instance, researchers like Stenstrom have a hard time even getting wastewater facilities to be more efficient, to say nothing of exploring futuristic technologies like carbon sequestration. Sure, the plants can update their systems to save energy, but that means extra investment and work for the operators. That may change, though, as the ravages of climate change grow ever more severe and dramatic. Perhaps operators will get the incentives to not just be more efficient at processing wastewater, but to make money via carbon sequestration. Let’s leave it at this: It wouldn’t be the worst thing if our poop helped scrub the atmosphere. It might even be just the place to start.